Thirteen artists from eight different countries will work together for one week and show us in a final show what they have produced. 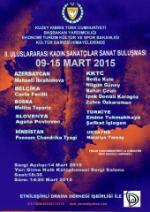 The workshop will take place from March 09 - 15) in the Public Library in Girne (opp. Colony Hotel) on the first floor. The event will be opened on March 14 at 18:30 hrs. 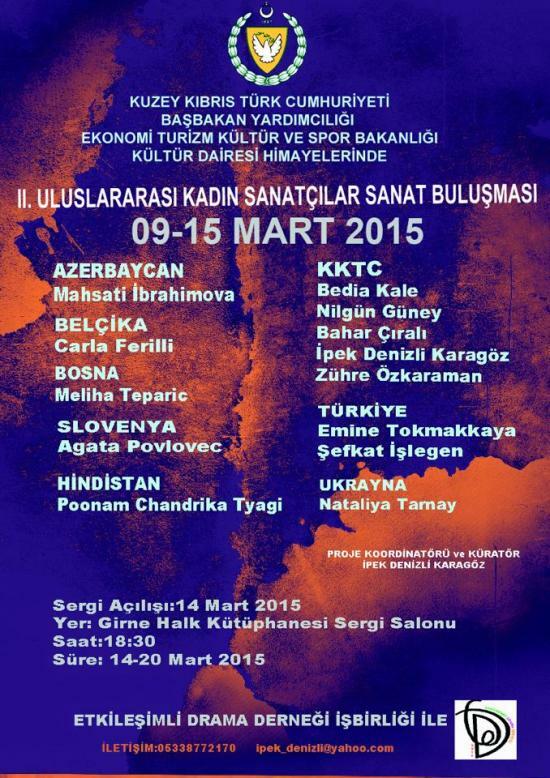 The project coordinator and curator is Ipek Denizli Karagöz just as she was for the first one at the same place. The event is supported by the Ministry of Economy, Tourism, Culture and Sports.